See below further information and photo of Private Cronan. 4079. 1st Battalion the Yorkshire Regiment. Died 3 November 1918. Born Greenwich (London), Enlisted London, Resided Boston (Mass. - USA). Commemorated KARACHI 1914-1918 WAR MEMORIAL. India Medal 1895-1902 4079 Pte C.CRONAN. Medal confirmed on roll WO 100/87 f 31. Remarks: ‘Deceased 3-11-18. No trace of Next of kin A910/21111. CRV193. 20.6.24 E/653074/2 Iv400,7.7.24 to India Office.’ Also a note reading: ‘CRv95 26.11.1924 E/653074/4 v70 3.1.25’. Army medal rolls record that he was also entitled to a British War Medal, although the roll states that the medal was returned as he died intestate. Soldiers Died... records that he was born in Greenwich, enlisted in London (while residing in Boston, Mass, USA), and died in India while serving with the 1st Garrison Battalion, Yorkshire Regiment. Commonwealth War Graves Commission records that he is remembered on the Karachi 1914-1918 War Memorial. He was born 10 September 1870 at Clements Cottages, St Nicholas Deptford, Greenwich, the son of Cornelius Cronin [sic], a factory labourer, and his wife Catherine (née Moynahan). His death certificate records that he died at Sialkot 3 November 1918 of influenza, age 29 (clearly a mistake). He was included in a draft of 106 NCOs and men from the 1/Yorkshire Regiment under Lieutenant W H Dent which sailed from Southampton 5 February 1895 on the transport Britannia to join the 2nd Battalion in India. 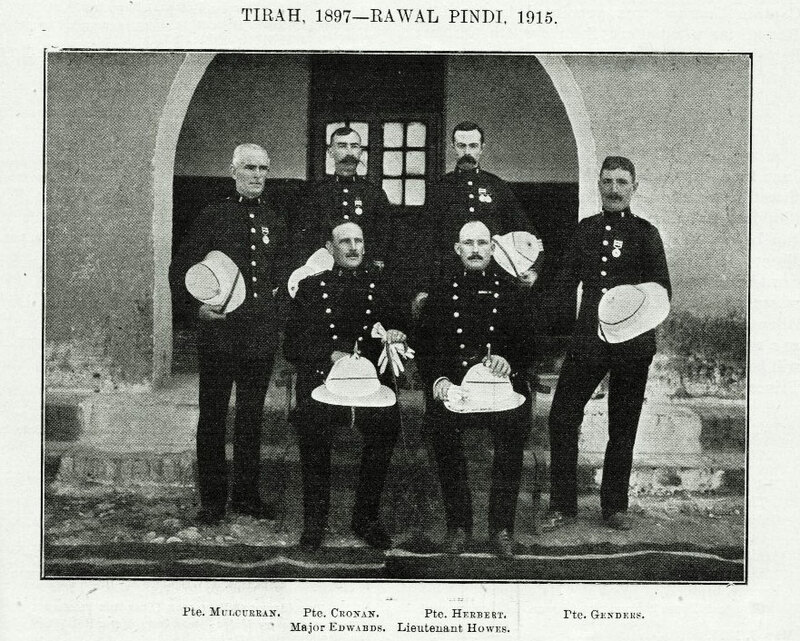 He appears in a photograph of men of the 1st Battalion who had served in the Tirah in the Green Howards Gazette for June 1915.